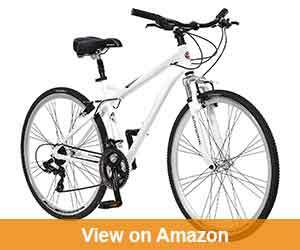 Schwinn Hybrid Bicycle: There are numerous reasons that someone might consider owning and using a hybrid bike. 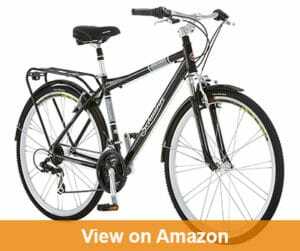 For starters, these are virtually limitless in what they can achieve, offering the best features from popular mountain bikes in with the convenience and comfort features you would expect from a road bike. Schwinn hybrid bicycles are unlike any other on the market. Their commitment to customer satisfaction can be seen in each of the options they offer, but here is what you can expect when you are shopping for Schwinn hybrids. You might think that having multiple gears to choose from is something that you can rarely expect to see when it comes to a bike that shares half of its composition from off-road bikes. 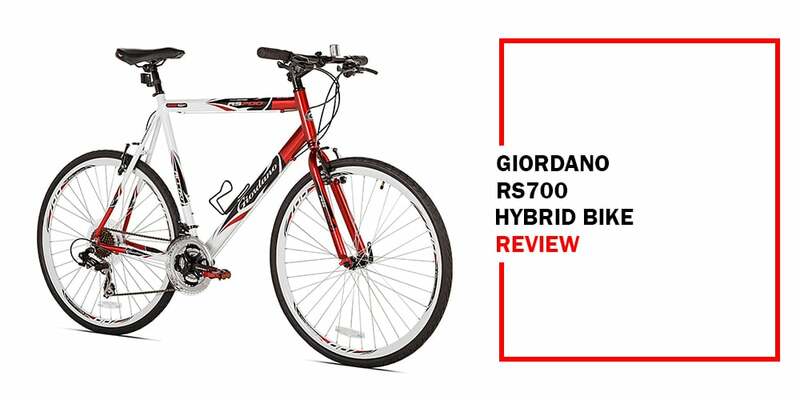 While this favors the road bike, the hybrids have a more limited range of gears than what advanced road bikes offer, without compromising your ability to easily transition between them and make your commute easier. Nearly all of the Schwinn hybrid bikes feature 700C tires. These are designed to favor the road terrain, but are also built tough enough to handle some serious off-roading time as well. While they are not as rugged and durable as high dollar mountain biking tires, they have every bit of life to handle whatever you throw at them. Road bikes typically offer a downward design with integrated gear shifts and braking, but hybrids tend to favor the flat handlebar design that is commonly seen in mountain biking. While this inevitably reduces speed, it does keep your posture straighter. This offers a more comfortable ride through any kind of terrain. Speaking of comfort, Schwinn is one of the leaders in innovative designs that keep their riders happy and comfortable. The longer that you are comfy on the bike you’re riding, the longer and more often that you will want to ride it. While this is more customary to the road bike, suspension forks can be ideal for any kind of terrain that you take your hybrid on. Rough and rugged riding isn’t fun for anyone, and a suspension fork can really aid in absorbing a lot of that shock throughout the bike’s frame before it gets to you. 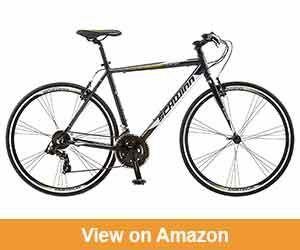 If you wanted a proper introduction to the world of hybrid bikes, there are few more better composed options than this Schwinn Men’s Network 3.0 Loaded up with comfort and convenience features, this bike will offer a lightweight and durablesolution to your commuting or off-roading needs for years to come. Aluminum Frame: Designed to be lightweight and rugged, this aluminum frame is built for endurance. You can rest assured knowing that this frame is constructed to resist the elements and damage, offering you a long life of riding. Comfort Designed Padded Seat: This molded seat has been created specifically with your comfort in mind. Since many riders are on their bikes for hours at a time, it is nice to know that this padded, contoured seat is going to keep you comfortable each and every time that you ride. Alloy Rims: While you want your rims to be light, you are often way more concerned about the beating they can take from the terrain. Fortunately for you, with these alloy rims, you don’t have to choose between convenience and strength. Swept Back Handlebars: Designed to improve on the straight handlebars commonly found in mountain bikes, these swept back handlebars mimic the straight design while offering you a better posture through your upright riding position. This will keep you comfortable as you go, and also provides an added element of safety. 21 Speeds: Never worry about missing out on the gear options you’ve grown accustomed to on your old road bike. This model offers the same extensive speed options available in the highest models of road bicycles without compromising the rugged elements of mountain biking. Schwinn has fused all of the critical components to both disciplines into this attractive option. This bike is a powerful example of how mountain biking and road bicycles can seamlessly blend together. Take this lightweight powerhouse out in any kind of terrain you choose and it is sure to never miss a beat. If you wanted something that was even more designed for comfort, you can look at the Discover series from Schwinn. There are high end shifters and braking systems for complete control of your ride, complete with the comfort features and easy to use functions that you have come to expect from the brand. 21 Speed: Never miss a chance to ride comfortably (or challenge yourself) with a full range of gears you can choose from. With Shimano grip shifters for convenient shifting, you will be able to seamlessly transition between speeds, regardless of your current terrain. Rigid Suspension Fork: Feel less of that rugged terrain with the inclusion of the rigid suspension fork. This is a shock absorption system that allows your bike to take in most of the impact and roughness of the road without it beating you down in the process. Alluminum Frame: If you wanted a hybrid bike that was as lightweight as it was durable and strong, this all-aluminum frame has to be what you’ve been picturing. Able to take a beating without showing the wear, this frame is also aesthetically pleasing to the rider as well. Comfort Features: If you wanted to be comfortable riding a bicycle, Schwinn is where you are going to start looking. They are setting the standard in posturing and padded seats, which extends to this model’s contoured padded seat. This boasts hours of comfort for the most dedicated of riders. Swept Back Upright Handlebars: For those that are accustomed to mountain biking, these handlebars aren’t a dramatic change. For road bike riders, you will find that this is considerably different then the hunched over riding you are accustomed to. These swept back bars offer the most ideal posture for prolonged, comfortable riding. The Discover series is a great line of hybrid models that offer as much comfort as they do performance. 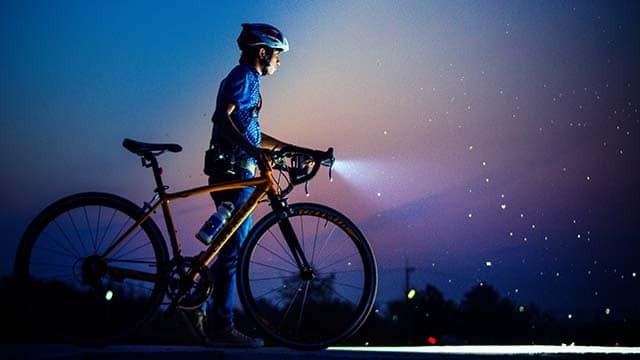 With so many bikes that you can choose from out there, it is nice to know that someone is setting the standard with comfort and convenience in a lightweight, powerful bicycle. While this bike might be the only one on the list specifically advertised towards women, there is a distinct argument that any of the bikes are innately unisex. With that being said, this Discover series model has all of the bells and whistles you have come to expect in a smaller package. Padded Saddle: Ride without discomfort with this contoured, padded saddle. Unlike regular seats that offer very little in the line of protection, the saddles of the Discover series are highly padded. This allows for hours of comfortable riding. 700C Wheels: While these tires might have the look and feel of high end road tires, you will find that their grip and rugged design will allow them to easily tackle any terrain you put in front of them. Be limitless in where you go with these all-terrain tires. 21 Speeds: Have the convenience and ease of use that comes with a full range of 21 speeds. Uncustomary in hybrid bikes, Schwinn is setting the standard in offering a large set of gears without cutting back at all on the rugged functionality of its mountain biking DNA. Upright Handlebars: Your posture as you ride is pretty important for your prolonged comfort. If you have been accustomed to road biking for the last few years, appreciate the difference of less lower back aches with a corrected biking posture made possible by the convenient upright handlebars. Suspension Fork: Just because you are going over some rough terrain doesn’t mean it has to shake you and rattle you all over the place. Appreciate the difference of a high end, rigid suspension fork to take a lot of that rattle and displace it throughout the frame instead. 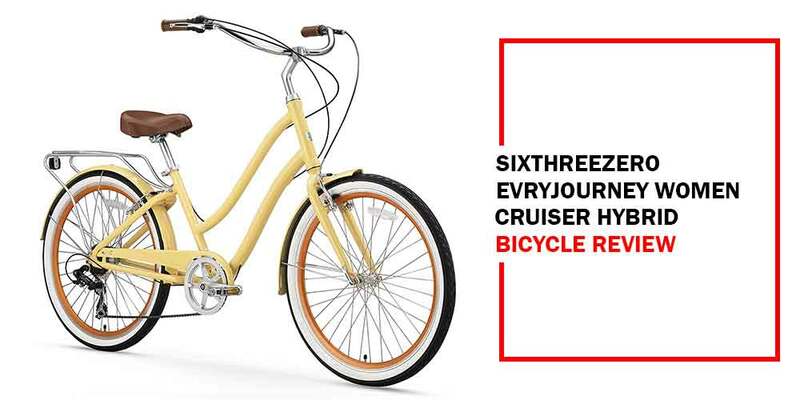 The Discover line is a great place to begin your Schwinn hybrid bicycle shopping. With options for both genders (typically varied by size), there is nothing stopping both of you from seriously upgrading your commute bike to an all-terrain beast with a smooth, comfortable riding experience. Unlike some of the other options on this list, the design of the Volare has the rider sitting higher than the handlebars, which mimics the road bike designs Schwinn has made famous. With a load of convenient hardware and easy-to-use features, this bike is truly the high-speed commuter or durable mountain bike you needed. 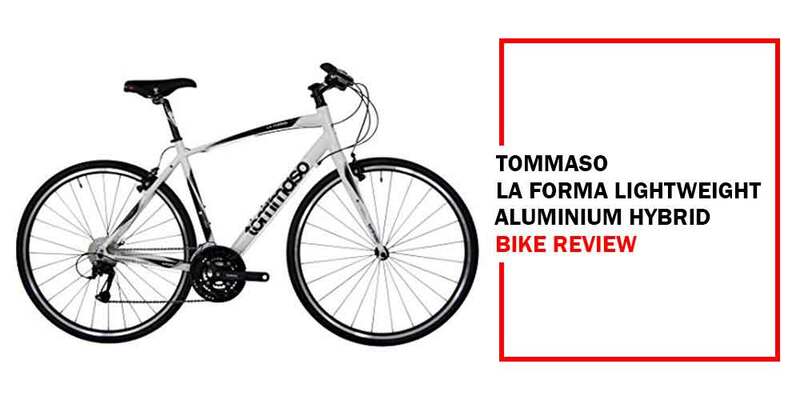 Alloy Wheels With Hight Profile Rims: The wheels of this great bike are lightweight and rugged. This means that you aren’t going to have to fight to get it where you need to (when you aren’t riding), and you can trust in their solid design to tackle any and all terrain on your rides. 21 Speeds: A full range of gears are waiting for you with the Volare. Never miss the chance to challenge yourself or to make the trip a little bit easier on your legs with your full range of speeds at your disposal. Transition quickly between then with the EZ Fire shifters from Shimano. 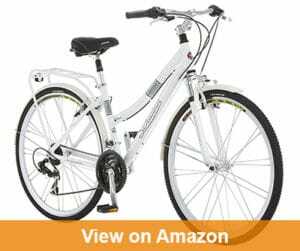 Durable Aluminum Frame: If you wanted a bike that was lightweight and tough as nails, this all-aluminum frame fits that bill completely. Don’t worry about rusting out your frame or lugging it around. This lightweight design is element proof and rugged. Suspension Fork: Don’t think that just because you like to ride on the rough spots that you have to get beat up in the process. Take full advantage of this rigid suspension fork to absorb the impacts and keep your trip smooth and virtually bump-free. 700C Tires: Built to take on all kinds of terrains, even the jungles of downtown, these 700C tires aren’t going to let you down. While they might function best on the road, they are rugged and durable enough for even the most dicey of terrains. With its ease of use and focus on speed, this is a hybrid that is sure to turn some heads as you ride. Appreciate all of the features that make this bike so great to ride, including the ever-present commitment to comfort that you have come to expect from the Schwinn name. Treat each trip like an adventure with the Volare bicycle. 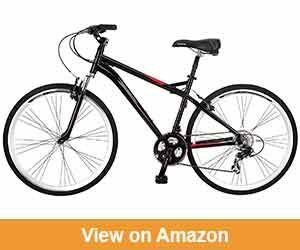 While this might be among the more expensive of the Schwinn hybrid bicycles out there, there are a few great reasons why it is an excellent value. If you combine all of the key features that the bikes before this shared, and then add in a few other convenience and comfort items, you’ve got the top of the line in hybrids. Alloy Rims, Wuick Release: For those that are adamant about the simplicity of removing your front tire, this has a quick release function to do just that. In addition, the wheels have alloy, lightweight rims for easy carrying but lasting strength and durability. Padded Comfort Seat, Suspension Seat Post: If comfort is what you are really after, you might appreciate that this has one of the most comfortable seats designed for any Schwinn bike. Couple that with the suspension seat post, and you have multiple hours of continuous comfortable riding ahead of you. Swept Back Handlebars: Along with the comfort features listed above, the swept back handlebars boast ideal riding posture. This means that you are going to experience little to no discomfort or aches from riding, even after prolonged trips. 21 Speeds: Never compromise what you want with a full range of gears that you can choose from. Easily accessible through the EZ Fire Shimano shifters located conveniently and ergonomically on the handlebars, you have a full range of your speeds at your literal fingertips. Alluminum Frame With Schwinn Suspension: This lightweight frame is rugged and durable. It is designed to take a beating. With the Schwinn suspension fork, you won’t be feeling any of the beating that your bike is taking as you smoothly pedal along. So you see, the Siro Hybrid has all of the bells and whistles that you will want or need out of a truly remarkable hybrid bike. While this might exceed your budget. It doesn’t change that this is among the best bikes that you can purchase on the market right now. That fuses both the mountain biking feel with the road biking conveniences. These are the best Schwinn hybrid bicycles out there for you to buy. While in many ways these options share common features and conveniences. They each offer something unique to the rider who chooses them. One thing is for certain, if you are truly looking for the best hybrid bike on the market, this short list has all of them. Use these options to set the bar of standard so you don’t compromise in terms of quality, comfort and ease of use.